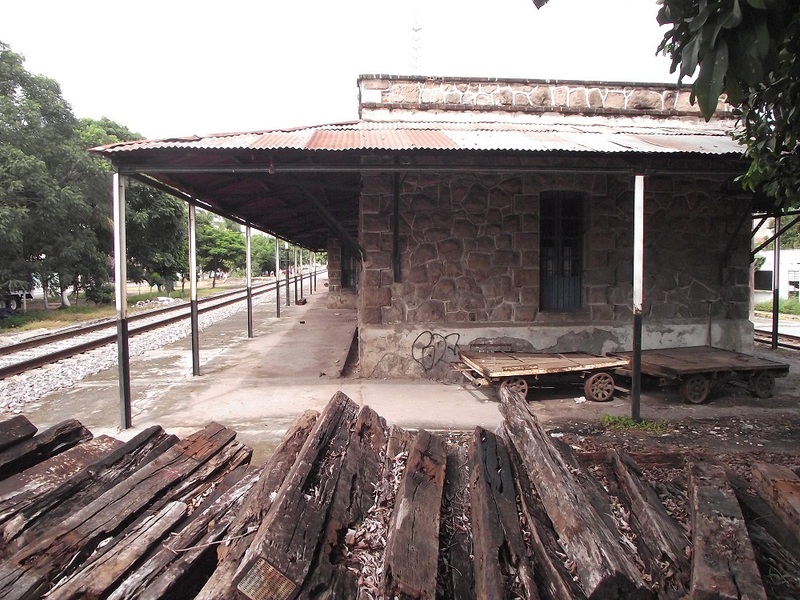 El Carrizal’s history is deeply intertwined with the railways’ history. During Porfirio Diaz’ rulership (1876-1911), the area was known as Llano grande (wide plains) and was part of Hacienda Plan del Río, a latifundium owned by Mr. Angel Trigos. Back then, only a few houses existed and the rest of the land was used for pasture. 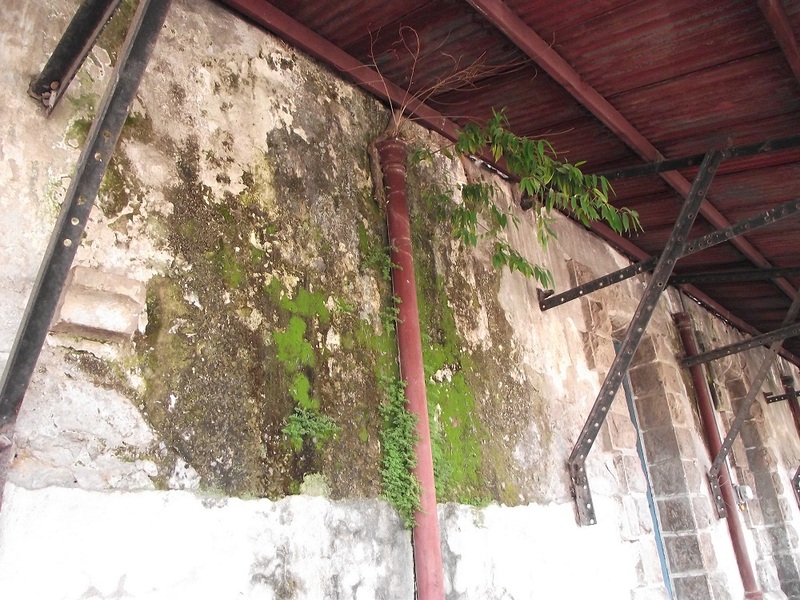 But in 1890 a group of workers started the construction of the railway that connected the port of Veracruz with Mexico city, as well as a train station aimed to supply water to the vapor machines. 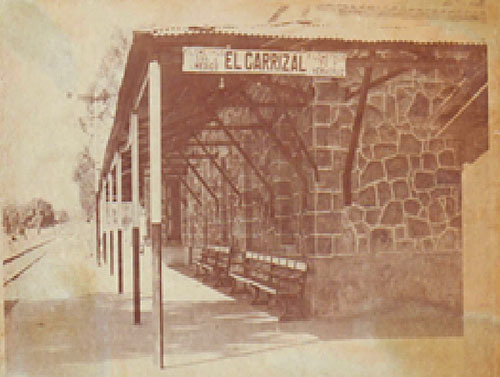 The station started operating in 1893 and was named “El Carrizal.” From then on, the village started to grow through the arrival of people from neighboring areas who were seeking the safety provided by the armed forces that guarded the train station. 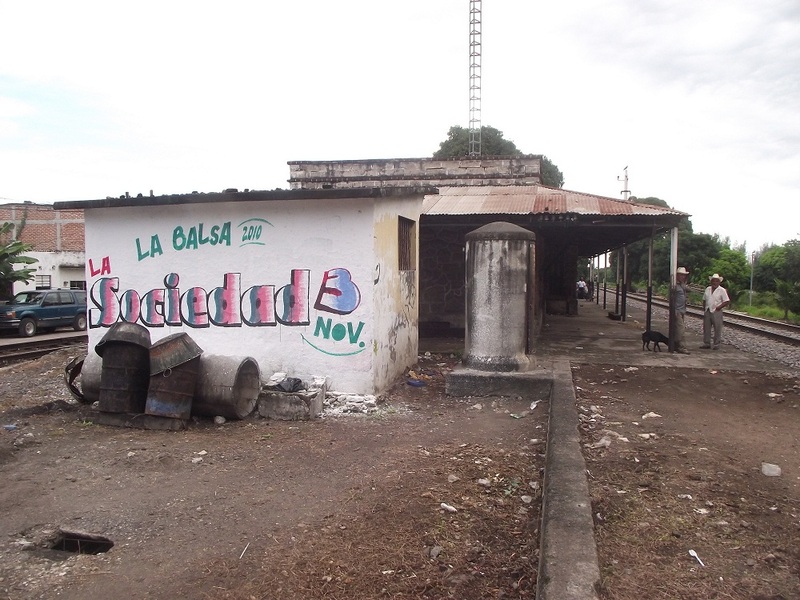 The spot was active until 1997, when Ferrocarriles Nacionales de México (Mexican Railways) was dismantled. Afterwards, the American company Kansas City Southern of Mexico (KCSM) signed a leasing contract with the Secretaría de Comunicaciones y Transportes (SCT) for the right of way that included both the railways and the station. Since its beginning, El Carrizal Archaeological Project (PAC) established an outreach program that involved all the communities around El Carrizal. 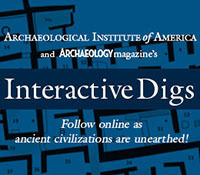 This program includes workshops, lectures, as well as cultural activities to promote heritage preservation. In accordance to this aim, in 2010 PAC, Emiliano Zapata’s Municipal Government and students from C.B.T.a. No. 277 made a proposal to KCSM to recover the old Train Station, which is registered as a historical building by INAH, and turn it into a Community and Regional Museum. Therefore, a meeting with KCSM took place in January 2010, where we were received by KCSM’s Avp Right of Way Protection and Corporate Affairs (Mexican branch), and we were given the criteria and requirements to achieve our goal. Since that meeting, a team composed by archaeologists, architects, anthropologists, biologists, local students and many more, has worked very hard to complete each and every one of the requisites: INAH’s permit to perform building conservation, blueprints that include a protective fence surrounding the railroad (according to Alto Total program), an executive project, a museography and workshops aimed to prevent railway accidents. Apart from that, 27 young students from the communities of Palo Gacho, Chahuapan, Cerro Gordo, Carrizal, Tigrillos y La Balsa, graduated as the first heritage stewards, after a 40-hour course. More than 18 months have passed since that first meeting, and 12 months since we sent all the required paperwork. 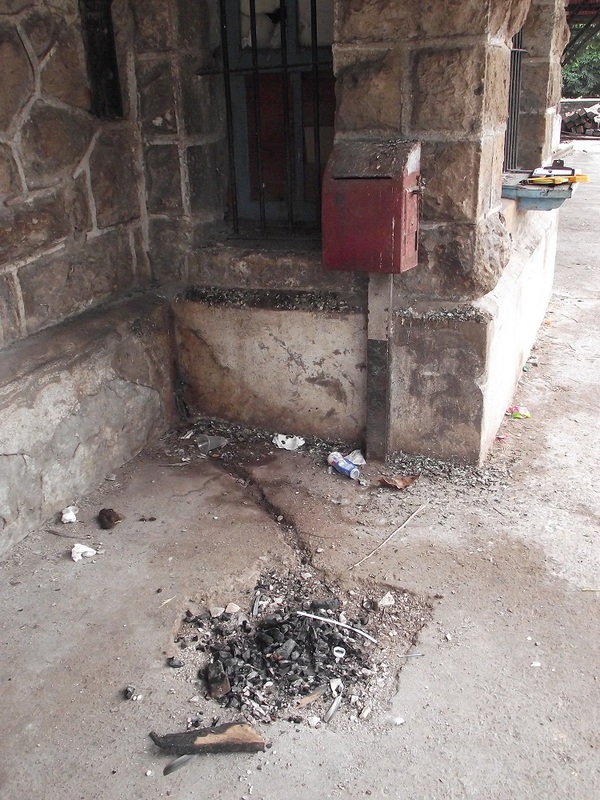 However, El Carrizal’s people haven’t gotten any answer from Kansas City Southern of México; even though INAH recommended an immediate intervention of the building due to its precarious preservation status. We think there is no better tribute to our heritage than living it and re-signify it as a main core of the social dynamics. 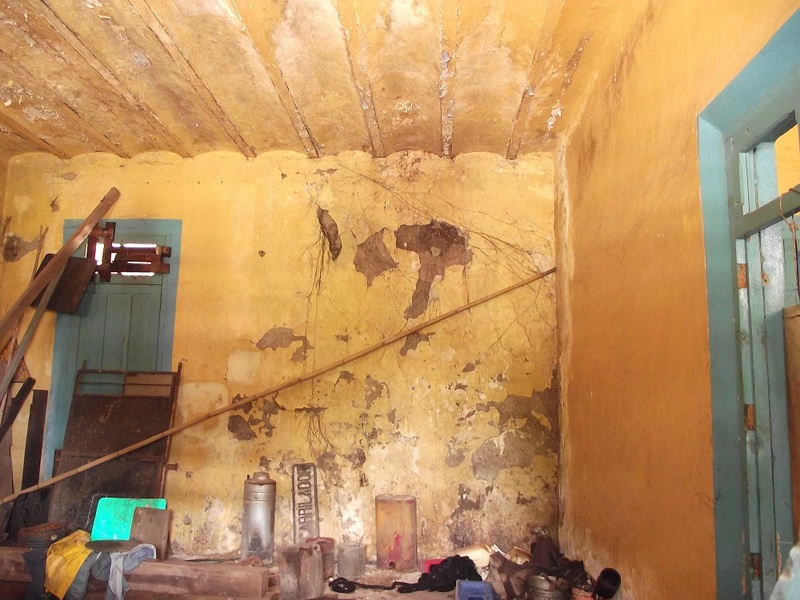 Hence, we make this plea to the international community to help us recover the Train Station. We need to persuade KCSM to ask SCT to transfer the train station to the Municipal Government. If you want to help with our request to KCSM, we ask you to leave a comment on this page regarding the situation and send this link to your friends through Facebook, blogs, Twitter, or email, so they can sign too. We will keep you posted about the situation. Thanks to everyone for helping! This entry was posted on Tuesday, September 6, 2011 at 8:21 am	and is filed under English. You can follow any responses to this entry through the RSS 2.0 feed. Both comments and pings are currently closed. If Kansas City Southern does not reply, action should be taken to nationalize the train station. An idea make a model kit of this building and sell it on the internet, it could be in N scale, HO scale, or O scale. Surely there are other buildings related to the railway that could be made into kits. A set of pictures and drawings of the building could be sold on the net or mail also. That would be a fun project, make money and set up local support. Check with the staff of Narrow Gauge and Shortline Gazette, find on the internet. That train station would make a great model kit. This would bring more people into the mix. What other buildings related to the railway are out there? Please transfer the train station to the Municipal Government immediately. Time is of the essence and our history defines us in often unseen ways. “water for ‘vapor machines’ meant replacement water for the steam engine locomotives that pulled the trains and exhausted spent steam to the air rather than condensing and recovering it. Was there originally a water tower there for that purpose? In the American great plains stations were spaced at regular intervals to replenish the water in the boilers of the steam locomotives. They didn’t boil away all the water in their boilers, this enabled them to make clean steam for their engines from water with a good bit of contamination, dissolved minerals, etc. After a while they would have to pause at a station where they could dump boiler water in which minerals had accumulated. They would leave enough steam pressure in the boiler to get back under the water tower, when the boiler would be refilled. Then they would have to heat that to boiling before they could ‘make steam’ again and be on their way pulling a train. There would also be a place where they could dump their fire and all the coal clinkers- then they would rebuild a new fire before ‘making steam’. All crude, but the engines worked reliably under primitive circumstances. It is disgraceful that the American company Kansas City Southern of Mexico has not responded, though somewhat typical of American companies which care only about what they can gain versus their concern for preserving things that make up the cultural history and life of a community. It proves, once again and sadly, the ‘gringos’ really canbe trusted to fulfill their obligations to native people and communities. SHAME ON KANSAS CITY SOUTHERN OF MEXICO!!!! and shame on the Government of Mexico for signing the contract and not enforcing it. It is a sad situation in deed yet typical of many government organizations. We need to make the government understand just how important sites like this are to understanding our past and building our future. As Julian Huffer said, “shame on Kansas city Southern of Mexico and the Government of Mexico.” Follow through on your contract because every day you don’t only increases public distaste for your organizations and discredits all your other efforts. There is no question that this site is worthy of preservation. The local municipal government should be the owner in charge of preservation with guidance from INAH. It there a way to put a preservation easement on the property? I agree, shame on KCSM for not responding, especially given the immediacy of the need for preservation. I hope you will find a solution to the situation that will allow the property to be managed by INAH and the municipal government sooner rather than later. I come from a long line of railroad men, though not one myself. So, I’m in favor of preserving such a picturesque piece of railway memorabilia, but a minor reality check is probably called for. PRESSURING KCSM isn’t going to get results, except by some miracle. Local governments probably have their hands full with more pressing problems such as crime and unemployment, and such a project is unlikely even to show up on the federal government’s “worthy cause radar.” What’s a crumbling railroad station compared to the illiteracy problem, or the hunger problem? In the absence of a wealthy patron willing to make the gesture, you’re facing a very uphill battle. If you are serious about preserving the structure, may I suggest a more pragmatic approach? Develop a plan to re-purpose the station in some commercially viable way. 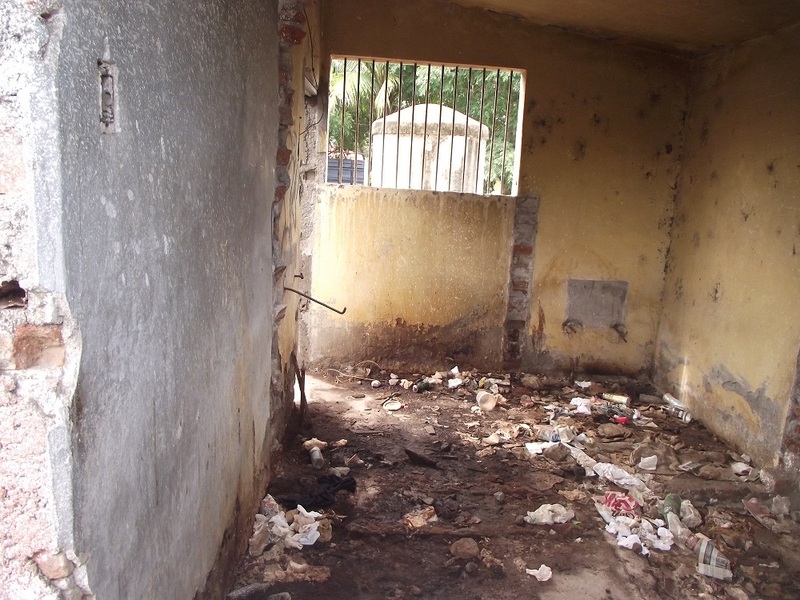 It could be a store, a restaurant, clinic, a school for teaching English…almost anything. You’ll get somewhere with KCSM when you show how they could turn the building (no doubt a liability in their thinking) into a revenue-generating asset. I’m an instructor of business at several colleges in Manhattan, and am happy to help. I think Patrick’s comment is appropriate, but I don’t know that aiming at creating revenue is realistic. It will cost a lot to renovate and any type of business would probably rather demolish it and rebuild in the same place. It just so happens that I dealt with a similar situation recently as a representative for a State Historic Preservation Office. An early train station was going to be demolished by CSX, but it was eligible for listing on the National Register. Unfortunately, CSX can do whatever they want since it is private property, however, no federal money can be spent on a project that has an adverse affect on a National Register property (in the US). So if they destroy the building, they cant get any federal money for anything related to that project. Rather than create revenue, they may bite at a plan that simply doesn’t cost them a tremendous amount of money. Where I don’t agree with Patrick is he general approach to the comment. Heritage is worthy of preservation, it enriches the sense of community and stewardship over the land, it provides a teaching opportunity, the restoration project will employ local workers, and money can be earned from tourism. Considering the heritage at Carrizal goes way beyond this train depot, preserving this building is just one aspect of what could attract potential tourists to the area. Regarding the “worthy of cause” comment, there is a govt entity in Mexico whose job is to act as steward to the Mexico’s cultural heritage (INAH). It is not like this is just something that people and local governments may or may not take an interest in. INAH is a powerful ally that should be consulted here. INAH is the equivalent of the ACHP in the US. In short, if the laws are similar to the US, KCSM can do whatever they want if they own it, but they might also jump at the opportunity to enact a plan that is not costly but that engenders confidence and support from the local people, government, and INAH. Just an added note: in the US, old buildings are frequently “re-purposed” as Patrick suggests. In this case, it may be appropriate to repurpose the structure as a tourism office to teach about the history and prehistory of Carrizal. Hello Patrick, thanks for your comment, which we do not consider valid since the train station is NOT a private building, but a federal one. Hence, government owns it and, as they lease the railways and cannot take care of these historical monuments, they include the stations within the lease contract. There have been many cases in Mexico where government just asks the company to donate the leasing rights of the building to the local governments. It is a simple procedure and it doesn’t affect the company, since they don’t use the building at all.